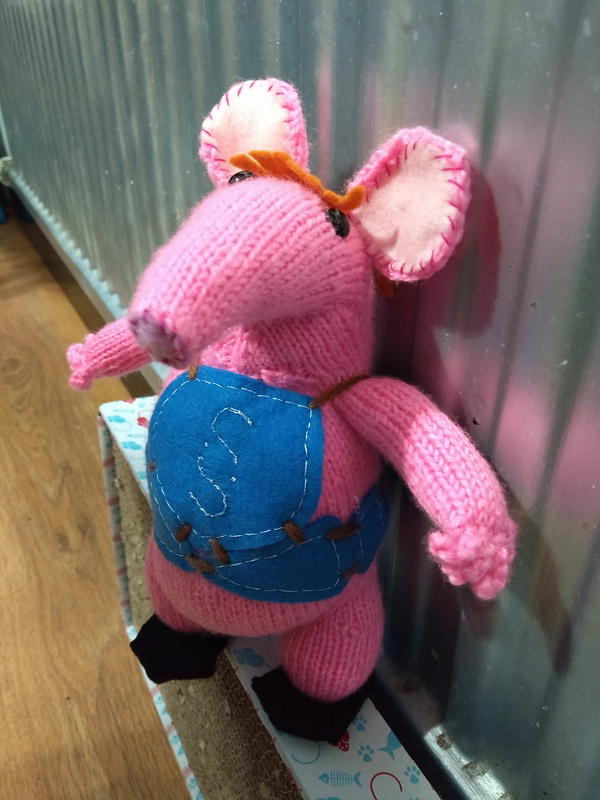 Of course I’m talking about the Clangers, this here is Small Clanger! I was given a kit to make him a little while ago and finally decided to get him on the needles after Inkling spotted Felix’s Tiny Clanger. I had fun knitting this guys, but not so much on the cutting out and sewing of all the felt pieces, though he does look really good for it. There no plans though in the near future to make Mother, Major or Granny Clanger! But what about the soup dragon?! Love him, he looks absolutely brilliant!